Novel based on tragedy to benefit the National Center for Missing and Exploited Children. 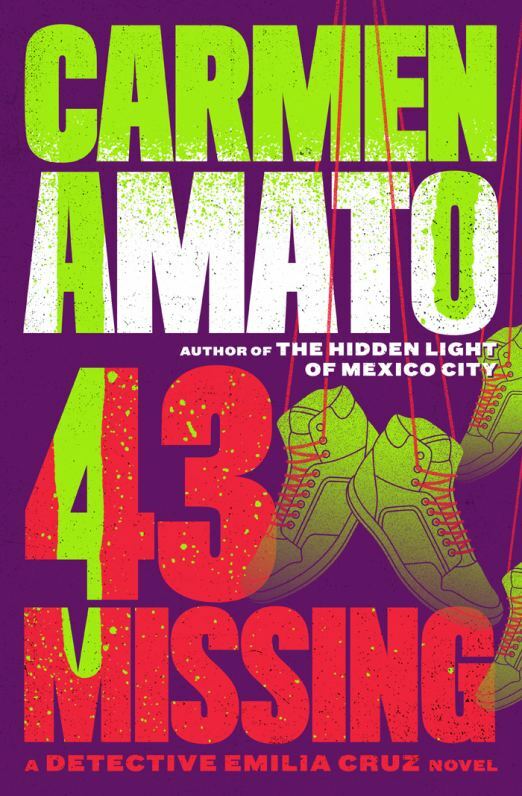 LEBANON, Tenn. - Sept. 25, 2018 - PRLog -- To mark the anniversary of Mexico's Ayotzinapa tragedy in which 43 students disappeared, author Carmen Amato will donate $1.00 to the National Center for Missing and Exploited Children for every review of the novel 43 MISSING during September-October 2018. In addition, the Kindle edition of the book will be on sale 21-30 September. 43 MISSING, the sixth book in the Detective Emilia Cruz mystery series by Carmen Amato, was a finalist for the Silver Falchion award for Best Procedural of 2017 from the 2018 Killer Nashville International Mystery Writer's Conference. The police procedural novel was inspired by the September 2014 disappearance of 43 students from a teacher's college in the town of Ayotzinapa, not far from Acapulco in Mexico's state of Guerrero. The students disappeared from the nearby city of Iguala after an altercation with local police. They have never been found and are presumed to have been murdered. In 43 MISSING, Acapulco detective Emilia Cruz is assigned to a national task force to investigate a fictional crime which mirrors the Ayotzinapa case. The task force must overcome bureaucratic rivalries, attempted bribery, and conflicting evidence to uncover the shocking motive behind the crime. Emilia's troubled past will both help and hurt the investigation, leading to a deadly confrontation with a notorious drug kingpin. Author of nine books, Amato's fiction incorporates the international risks, power plays, and high octane relationships she navigated during a 30-year career with the Central Intelligence Agency. Carmen is a recipient of both the National Intelligence Award and the Career Intelligence Medal. For additional information, please see http://carmenamato.net.